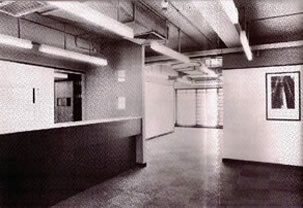 Founded in 1984, Hong Kong Communication Art Centre has thus far developed into a sizeable tertiary institute, with branches located in Hong Kong Island, Kowloon & the New Territories, with an annual intake of over a thousand secondary school graduates. Embracing professionalism and the pursuit of excellence as its educational ideals, CAC has over the years offered quality and recognized tertiary education programs. Our institute comprises of six colleges: Design, Technology, Performance, Languages, Education, as well as Business, offering courses which cater to students’ needs. Our centre is also opening up educational and training markets in the mainland; our branch at the Guangzhou Design Port was especially established at the request of the Li Wan District to offer exclusive professional and up-to-date training for local citizens. Under the guidance of our teaching staff, CAC students have made great strides and demonstrated outstanding performance in both academic studies and extra-curricular activities. In Feb 2007, students at the College of Design won the key award in the 10th Hong Kong Footwear Design Competition, along with this performance students have won major awards in both the Tsuen Wan Singing Contest and the Kowloon City Reunion Celebratory Putonghua Singing Contest. To top it all off, our students also won the Creative Performance Award for the Wan Chai district in the 18-District Cheerleading Contest. Our centre is a BTEC HND authorized institute offering British Advanced Professional Diploma programs, an internationally recognized qualification. Elected as one of the Top Ten Asian Colleges in 2006, we are further authorized by the UK Business and Technology Education Council this year to become the first institute around the globe to offer the college-equivalent BTEC Level Six program, the academic level of which equates that of bachelor degrees. All these are testimonies to the international standard of the quality of our teachers and academic level of our school. The Hong Kong Art and Design Festival is an annual highlight at our school. Entitled “Go Fad, Go Fashion,” this year’s festival aims at highlighting the need for designers to keep abreast of the times and be sensitive to up-to-date concepts and perspectives in design. Apart from graduates’ exhibitions and fashion shows, the Hong Kong Art and Design Festival also organizes an annual Model Competition, Fashion Design Competition, 18-District Singing Competition, Photography Contest, CAC-Yan Chai Hospital Charity Gala Dinner, and Seminar on Design. The festival also includes award presentations for the Ten Outstanding Designers Awards and Outstanding Greater China Outstanding Design Awards. In recognition of his contribution to the field of education, the present CAC principal William Eng was awarded the Asian Outstanding Vocational Educator Award in 2006. As well as putting into practice his high educational ideals, Mr. Eng, who is active in charity work and an advocate in holistic education, has also been an inspiration to our students. Our radio channel, the CAC Channel was established on 11 Nov 2006 as part of our effort to implement both holistic education and general education. The CAC Theatre was also set up this year as a means of promoting drama education, through our provision of professional drama tutors, school tours, and drama workshops to local primary and secondary schools. The Communication Art Centre aspires to always provide Hong Kong with technical experts. By boosting creativity and room for development among students, and adhering to our ideals of professionalism and the pursuit of excellence, we pledge to strive for a better future for our students.